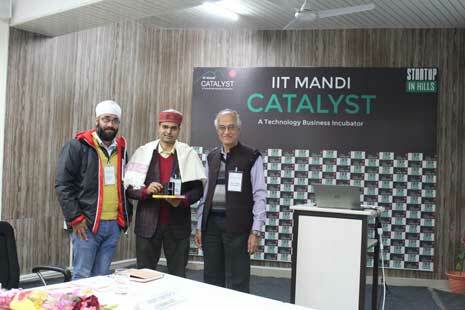 Mandi: IIT Mandi Catalyst, the first technology business incubator of Himachal Pradesh, at Indian Institute of Technology Mandi, inaugurated the ‘Startup Exploration Program 2019’ on Monday, 11th February 2019. Mr. Rugved Thakur, Deputy Commissioner of Mandi, inaugurated the program. The inaugural session began with an address by Prof. Timothy A. Gonsalves, Director, IIT Mandi, who welcomed 10 startup teams and encouraged them to make the best use of the research labs and faculty expertise available in the Institute. In his address, Mr. Rugved Thakur, Deputy Commissioner of Mandi, welcomed the startup teams and congratulated them on their brave decision to start a venture. Applauding the initiatives undertaken by IIT Mandi Catalyst to support budding entrepreneurs, Mr. Thakur said, “It is a great initiative by IIT Mandi Catalyst that the young entrepreneurs are coming to Himachal with various business ideas and finding practical solutions for the community, state and other parts of the country”. The inaugural session was followed up by a ‘Startups Showcase’, during which the dignitaries visited the presentation booths of the startup teams and engaged in detailed discussion on their ideas and prototypes. 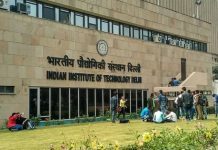 IIT Mandi Catalyst will be providing training, mentoring and financial support to these startup teams over the next three months during which these teams will convert their ideas into prototypes/products. It is noteworthy that Catalyst maintains a co-working space and hostel facility for startup teams at Mandav Complex in Mandi town. Among the 10 startups admitted to the program, three are working in agro-tech, three in clean energy, one in waste management and others in IoT and Augmented reality-based commercial solutions. 1. Azeedo: For farmers who suffer losses due to pest attack, have to spend more on chemical and biological pesticides, Crop-Defender, a product of Azeedo, will be a biological pesticide, eco-friendly and affordable. 2. Innovation Quest: ARaT is an augmented reality feature animated T-shirt, for children of age group of 4-14 years who find it difficult to get active while playing mobile games. It is a product where the children will get physically active and both the wearer and person focusing camera can play/interact over gaming and learning experience. 3. Ecekal: For apple growers who have to clean and sort apples manually, Ecekal, is providing an ultra-low cost, automatic and portable machine to sort and clean apples automatically. 4. Arise Motors: For autorickshaw owners, who spend a lot on fuel and maintenance, the unique product ELV-800 will be an Electric Auto Rickshaw that helps to cut down these operational costs considerably. 5. Atuvik: For the rural population of Himachal Pradesh, which cooks food on traditional wooden stoves, Atuvik stove will be a cost-effective way that provides clean combustion and healthier environment to cook food. 6. BRAHMASTRA: BRAHMASTRA is a mobile platform where vendors who struggle to find local produce, continued supply, off season organic, quality produce will connect with the local producers in the nearby location. 7. High Five Innovation Labs: We are building a cost-effective, efficient and accurate solution to convert existing energy meters into prepaid meters. 8. Waste on Wheels: For Municipal Corporation who spends a lot of money on waste collection and segregation, Waste on Wheels is making a processing unit that can be integrated into the waste collection truck to segregate mixed solid municipal waste into biodegradable and non-biodegradable, right at the source. 9. Sun Navigation: For commuters who waste time waiting for their transports, our product, Vehitra, is a mobile app and tracking device that helps to keep track of their buses and for better time management. 10. MODI: MODI is developing a swappable lithium ion battery pack for ‘e-rickshaws’ that will be cost effective and more efficient.